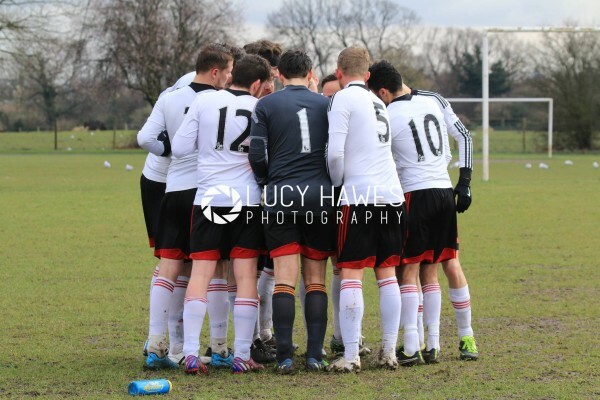 Fulham DFC thrashed Wandgas FC 4-1 to put them one step closer to promotion. Fulham were still guilty of being wasteful with their chances and missed a big opportunity to increase their goal difference in the league. Andrew Kenward crossed the ball from the right wing for Daniel Waller to steer in a header early on in the match. As Fulham attacked more and more it didn’t seem like it would be the same match the two teams had at the start of the season. Daniel Hogan got the second goal courtesy of a massive deflection following a short corner. Fulham could have increased their first half lead by more goals but Lee Farrell, Daniel Rumney and Hogan wasted big opportunities. Philip Swift scored to make it three when Farrell played him a through ball which he finished. Fulham might have kept a clean sheet if it wasn’t for a Wandgas penalty which was given when Fil Kamps brought a player down inside the area. Lee Farrell scored the only goal in the second half, yet again the Fulham team wasteful of chances to score. While defensively they were pretty assured, they will have to be wary of next week’s opposition, a team that has inflicted one of Fulham’s few defeats this season.